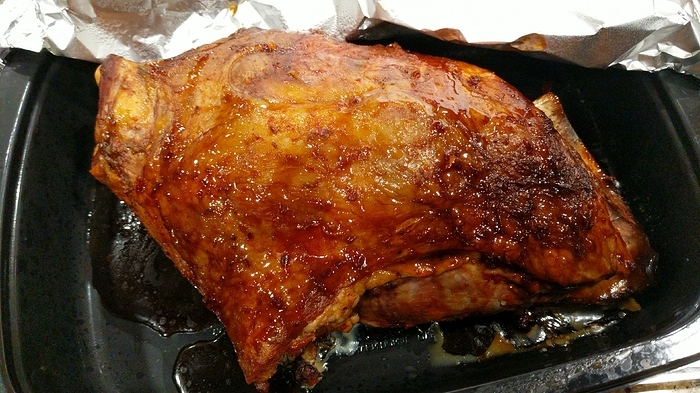 What would you do with "Lamb shoulder blade roast!" 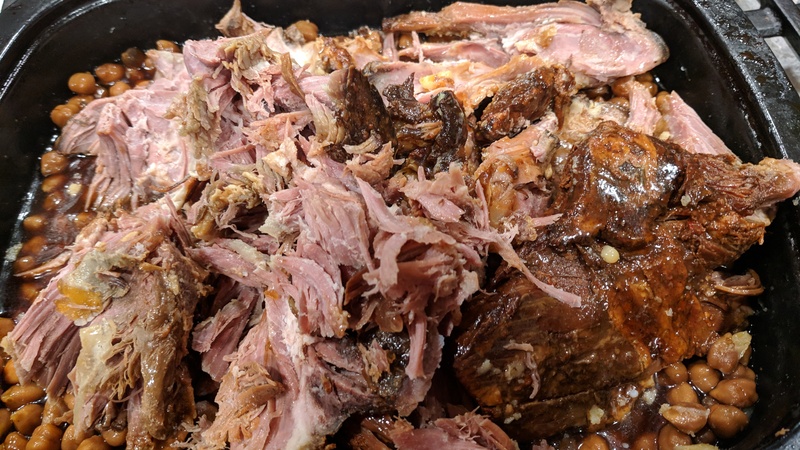 I might have treated it like a pork shoulder and done a low and slow, say 225 degrees for 4 or 5 hours, uncovered the last hour. I may have hit the wrong button just now. Hope I didn’t flag something by mistake. I got another one, and I’m smoking it this time. I posted upthread, at the end of January, that we’d picked up a bargain full shoulder. It’s now defrosting for tomorrow night. 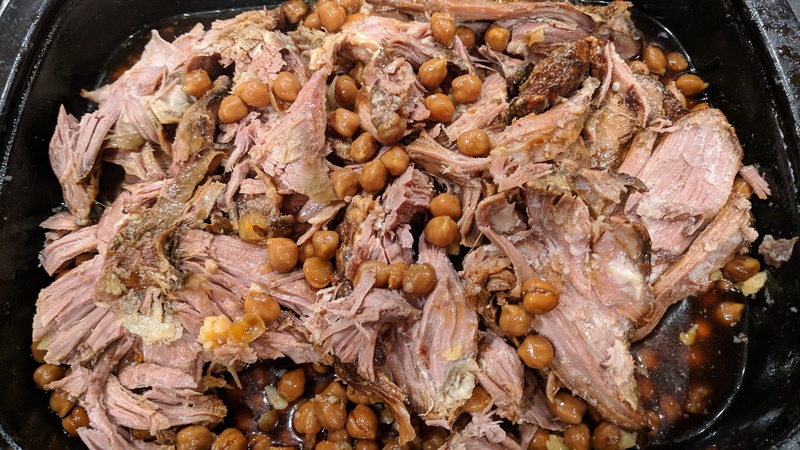 The plan is definitely to cook it low and slow so that, effectively, we end up with pulled lamb. Simple accompaniments - peas and roasted butternut squash - and gravy, of course. Sort of using the The Zahav Lamb Shoulder idea. All smoked! Now the braise, then the roast…? This part isn’t in the recipe. "Preheat the oven to 475°F. Place a rack on a baking sheet. Drain the lamb and pat dry. 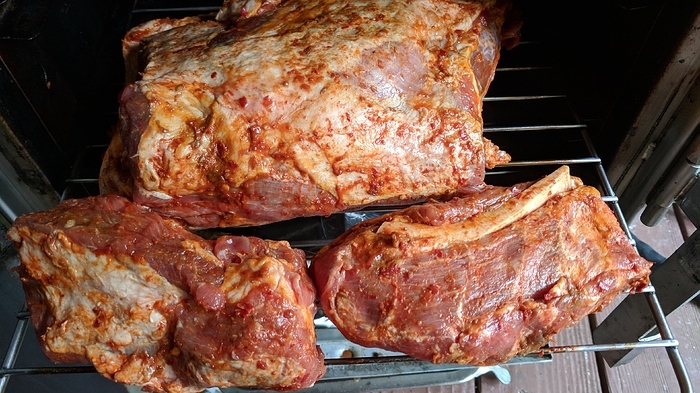 Put the lamb on the rack and roast until well browned on the exterior, about 30 minutes. (Or sear the lamb over a medium-hot grill for 15 minutes until well browned on all sides and nicely charred in places.) Lower the oven to 300°F. 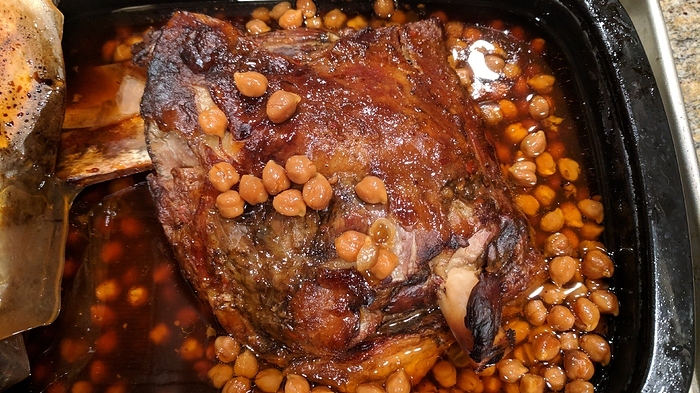 Braise in the oven until the lamb shreds easily with a fork and the chickpeas are tender, about 5 hours. Let the lamb cool in its braising liquid in the refrigerator overnight." So does the smoking for two hours replace the “roasting until well browned” for 30 minutes? I’m following a 3 or 4 hour smoke with the braise, but am guessing the “braise until lamb shreds easily” will take less than five hours. Uh oh…the chickpeas may take the whole five. I will “let the lamb cool in its braising liquid in the refrigerator overnight”. The plan is definitely to cook it low and slow so that, effectively, we end up with pulled lamb. In the event, we hadnt cooked it long enough to “pull” but it was still very tender. Lots of leftovers - frozen one batch of very well trimmed meat for shawarma and another, finely chopped and mixed with the leftover veg and gravy for shepherd’s pie. Three meals for twelve quid - bit of a bargain, IMO. “Pulled”, but not yet "finished in a hot oven to crisp up the exterior”.